Detailed designs for 17 new homes and the renovation of Leacroft House in West Harptree have been approved by B&NES Council. The Reserved Matters application, produced by built environment consultancy Nash Partnership for Whitecroft Developments, builds on outline planning consent secured for the site in November 2015. The approval includes extending and improving Leacroft House, plus access, landscaping, and creating an attenuation pond. 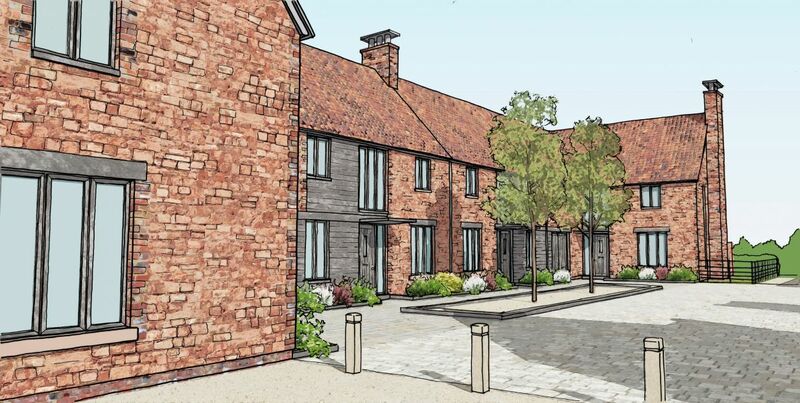 The scheme aims to produce an attractive development that is a suitable addition to West Harptree and one which responds to the village’s distinctive character. Homes have been clustered together to mirror local barn-like typologies and courtyard spaces provided inspiration for the development. Work is due to begin on site in spring 2017. Whitecroft Developments is a family-run business based in Chelwood which specialises in creating bespoke and high quality homes. The company will construct and manage the development.